The 1968 song, Pinball Wizard, is a centrepiece of the band’s rock opera, Tommy. That should have rung a bell with another Tommy — Tommy Floyd — but he wouldn’t become a pinball wizard until six years later. 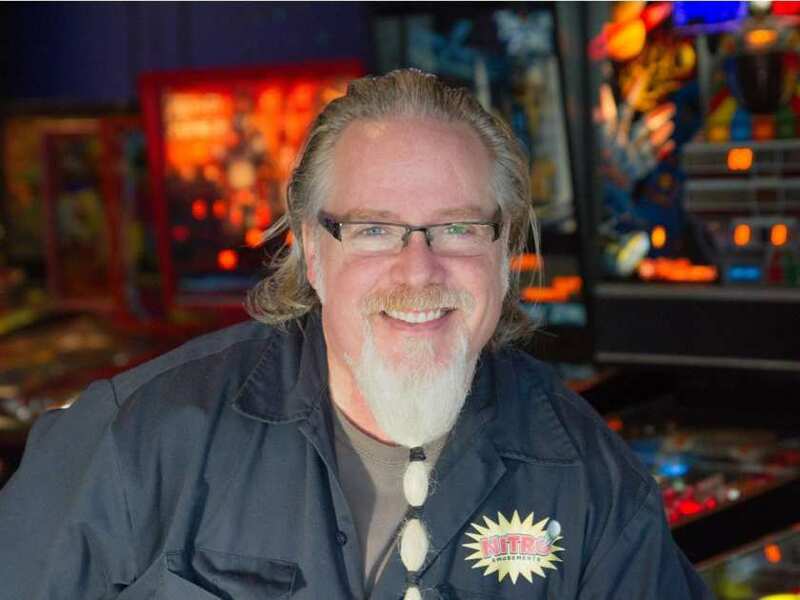 Floyd has a pinball showroom, Nitro Pinball, in Mission and is the organizer of the Vancouver FlipOut Pinball Expo. This might be a logical transition from his years as an erstwhile rock singer, hanging out in the hall of a recording studio playing pinball until it was time to record a take. Rock ‘n’ roll and pinball has a strong connection. It isn’t surprising that the first band to market its own pinball machine is KISS as KISS’s Gene Simmons is a relentless promoter of anything that might have KISS potential. Other acts, though, have also lent their names to the game. Floyd fronted a variety of rock bands from 1979 to 1994. When I’d run into him, he was either just back from a tour or about to go on the road. His bands didn’t seem to play Vancouver much and left few traces of their viability. But Floyd made records of the mainstream rock/big-hair variety and learned the music business. He had his own recording label, went into management, but gradually made a move to pinball that seems logical now. “I started out like most playing in cover bands while writing on the side,” he explains. “Once I had enough material to go original, I made the transition and never looked back. I enjoyed performing and touring most. I always found the studio somewhat boring. That is, unless there was a pinball machine somewhere. “In 1995, I launched a record label — Outlaw Recordings,” Floyd continues. We released hard rock and metal bands. The rock scene in North America sucked at the time, so I spent a lot of time in Europe touring the bands and licensing them overseas. Playing pinball occupied his time and thoughts. Floyd has seen dramatic changes in the games since he first bought them used in the States. From his vantage point, the relationship between playing rock ‘n’ roll and playing pinball makes sense.